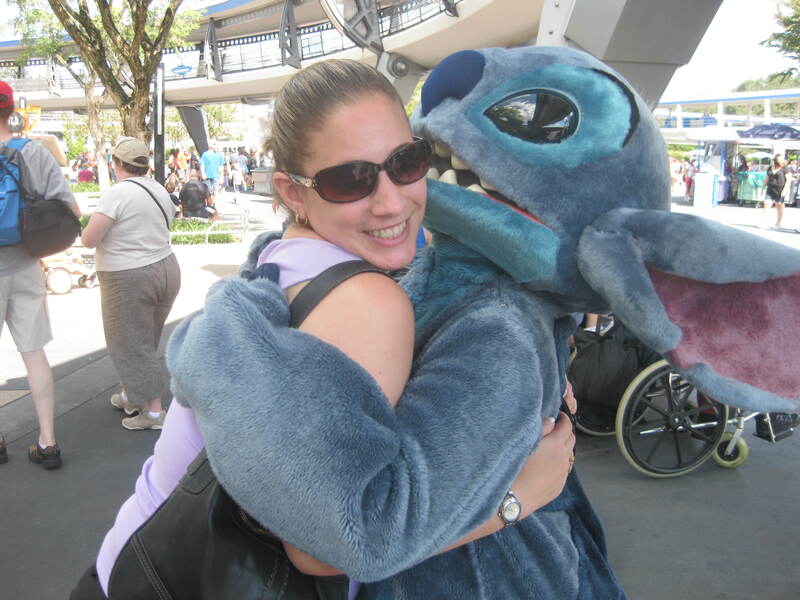 My first trip to Walt Disney World sealed the deal as far as my love of Disney is concerned. I was four years old and entered the Animation Building in what was then, Disney-MGM Studios (now known as Disney Hollywood Studios). It was a working animation studio at the time, and I completely fell in love with the process of animation. I couldn’t believe that Disney could bring all of these wonderful characters to life with nothing more than some paper and a pencil. From that point on I was hooked. I wanted all of my vacations to include Disney, and for the most part they have! Since that first trip, I have been to WDW over 25 times, Disneyland 4 times and even had a day trip to Disneyland Paris. In high school I discovered that Disney had a college program and I couldn’t wait until I was old enough to participate. 4 years later, I embarked on one of the greatest adventures of my life: The Walt Disney World College Program. I worked as a character attendant and learned even more about the place I held so close to my heart. In fact, I think that going on the College Program made me love Disney even more! After my program, I was fortunate enough to stay in my character attendant role for many years after that. Having worked at WDW, I have a unique perspective to offer potential clients because, for me, it’s more than my favorite vacation destination. WDW feels like home.